The Aid & International Development Forum is the world leading platform to build collaboration among stakeholders to achieve a vision of nutrition as a driver of food security, environmental sustainability and economic opportunity. AIDF is a well attended summit by health, agriculture & environmental Ministries, senior Government representatives, leading NGO, UN agencies and a private sector facilitating building private public partnerships. Worldwide two billion people have a micronutrient deficiency. Nutrition security goes beyond food security by considering a community’s diet quality, not just calories. Even people with access to sufficient amounts of food and calories may still lack essential micronutrients, increasing their risk for health consequences. AIDF is committed to the ongoing support of coordinated working within the Asia Pacific region and the enabling of more effective public-private understanding and partnerships to help ensure food safety and security. The 2nd AIDF Food Security Summit: Asia 2014 will be a unique global platform promoting nutrition security in the regions. Gathering 300+ Government Ministers including Health, Social Development, Technology Departments; health regulators; UN agencies; NGOs, research and private sector representatives, this summit enables focused and robust debates on innovative nutrition programs, finance and collaborations, food policy, infrastructure and food fortification and aims to provide tangible outcomes, alongside maximum networking opportunities. 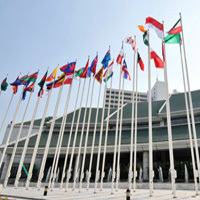 The AIDF Food Security Summit: Asia 2013 held at the United Nations Conference Centre in Bangkok on the 26 and 27 November attracted more than 200 delegates from more than 20 countries. Attending delegates said the Summit provided a platform not only for discussion but for collaborations with the aim to improve food security in the region. Assistant Director-General and Regional Representative of FAO Regional Office for APAC, Hiroyuki Konuma highlighted the need of promoting multi-sectoral and multi-stakeholder engagement; strengthening public and private sector partnership; and investment in agricultural public goods. 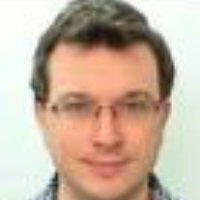 Bruno Kistner is the Commercial Director Asia for Glanbia Nutritionals Pte Ltd in Singapore. He was previously the Founder and Director of the Nutrition Improvement Program, a CSR initiative of DSM to fight global malnutrition. In September 2010 the Nutrition Improvement Program received the World Business for Development Award for innovation in nutrition at the General Assembly of the United Nations in New York. Bruno was also part of the management team of the public private partnership, with the World Food Program WFP and the founding member of the Amsterdam Initiative against Malnutrition (AIM). From 2009 to 2010 Bruno was a member of the Board of Directors Wuxi NutriRice Ltd in China. 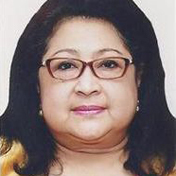 Nina Sardjunani is the Deputy Minister for Human Resources Development and Cultural Affairs at the Indonesian Ministry of National Development Planning where she is appointed as chairperson to the technical team of Indonesia SUN Movement. Previously, she served as director for various positions including religious affairs and education, community and women’s empowerment, and health and nutrition before serving as Minister’s special advisor for human resources and poverty affairs. In 2011, she was assigned by the Secretary General of the United Nations to Scaling Up Nutrition (SUN) Lead Group member responsible for facilitating member States in accelerating reduction and prevention of stunting. She is also a member of Stakeholder Group responsible for reviewing and guiding the incoming Global Nutrition Report. Soekirman was born in Bojonegoro, East Java, Indonesia on August 2, 1936. He had his Ph.D. training in International Nutrition (1983) and Master of Professional Studies in International Development (1973) both at Cornell University, Ithaca, New York, Master of Public Health (1969) at the University of Indonesia, and Bachelor of Science in Public Health Nutrition (1960) at the Academy of Nutrition, Ministry of Health, Jakarta. His current positions, as Professor (Emeritus) in Nutrition at the Human Ecology Faculty, Bogor Agriculture University (IPB), Bogor,Indonesia; Professor in Nutrition at the Medical Faculty, Christian University (UKI), Jakarta; Visiting professor at the Medical Faculty, Gajahmada University Yogyakarta (UGM); Founder and Director of the Indonesian Coalition for Fortification (KFI), Jakarta. 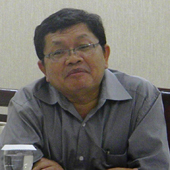 Soekirman’s life and career have been dedicated to community nutrition since his first assignment as government’s civil servant as a junior field nutritionist in then an isolated area in Aceh Province in 1961, Northern part of Indonesia close to Penang, Malaysia, about 2 hours flight from Jakarta. From Aceh, he expanded his career as a public nutrition specialist dealing nutrition policy and national development at the National Development Planning Ministry (BAPPENAS) since 1975 , and promoted as Director of Health and Nutrition 1983-1988, and Deputy Minister in charge of Human Development from 1988 until his first retirement as bureaucrat in 1996. 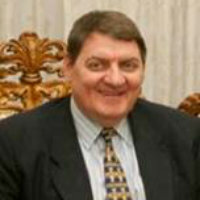 Douglas Broderick is the UN Secretary General‘s designated representative in Indonesia and leads the UN Country Team of resident and non-resident agencies. He has submitted his credentials to the Government of Indonesia through Minister of Foreign Affairs. 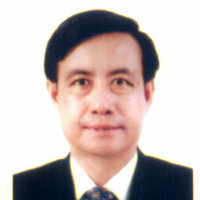 He had previously served as UN Resident Coordinator and UNDP Resident Representative in Cambodia. Mr Broderick has 30 years’ international development experience working as a senior manager with the UN in Bangladesh, China, North Korea, Armenia, (former) Yugoslavia, Eritrea, Rwanda, and Djibouti. He also worked with Catholic Relief Services in Iraq, the United States of America, Jerusalem, the West Bank and Gaza, Egypt and Thailand. Mr Broderick was educated at the University of California, Berkeley USA and universities in Spain and Mexico. He completed the Senior Managers Programme at Harvard University. 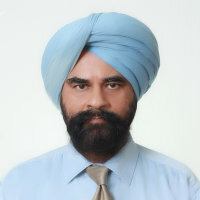 Sumiter Singh BROCA works in the FAO Regional Office for Asia and the Pacific in Bangkok as Policy Officer in the Economic, Social and Policy Assistance Group. His main job is to work with FAO member countries, regional organizations and the UN system to provide advice on food and agricultural policy and food security and strengthen national policy making capacity in these areas. 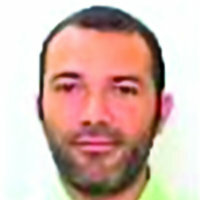 He has been with FAO for over 14 years, of which 8 were spent at the Organization’s headquarters in Rome where he was an Economist in the Global Perspectives Studies Unit of the Agricultural Development Economics Division, and 6 in the Regional Office in Bangkok. Before joining FAO he was with the International Food Policy Research Institute Washington DC for 8 years and with the National Council of Applied Economic Research in New-Delhi for nearly 3 years. He has a PhD in Economics from the Johns Hopkins University, Baltimore, Maryland and an MBA from the Catholic University of Leuven, Belgium. 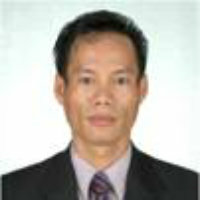 Mr Thanacheep Perathornich is the Technical Officer, Senior Professional and Assistant Director at the Beaureau of Food and Water Sanitation, Ministry of Public Health, Thailand. He has a Bsc in Public health and an Msc in Biostatistics. Dr. Regina Moench-Pfanner has more than 25 years of experience in international nutrition, specifically in nutrition and health programming and evaluation with attention to adequate nutrition and nutrients in the context of poverty and economic crises. Before joining the Global Alliance for Improved Nutrition (GAIN) in 2005, she led the International Federation of the Red Cross and Red Crescent major relief operations in Africa and Eastern Europe; provided technical nutrition expertise to organizations working with refugees, internally displaced people and vulnerable populations. In addition, she also managed and implemented several multi-million dollar programs as Regional Coordinator for Asia Pacific at Helen Keller International. 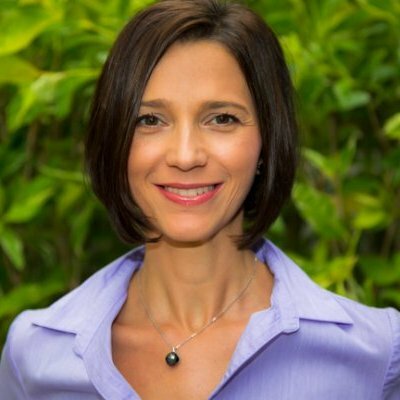 Dr Moench-Pfanner now serves as the Director for GAIN’s recently established representative office in Singapore. She has published numerous papers in peer-reviewed international journals and is recognised internationally as a key presenter in her field. Ilse received her PhD in Biomedical Sciences from Groningen University The Netherlands in 2000. In 2010, Ilse relocated from The Netherlands to Singapore, where she oversees all the clinical trials within the region. She has been project coordinator for the South East Asian Nutrition Surveys (SEANUTS), a multi country survey on nutrition and health status of children, initiated by FrieslandCampina in close collaboration with local Universities and Institutes. Dr. Mario V. Capanzana is currently the Director of the Food and Nutrition Research Institute, Department of Science and Technology. He is a Chemical Engineer who has chosen to share his knowledge and skills in the field of food and nutrition as his contribution to the country’s development. He painstakingly pursued further studies in the field of food science and technology. 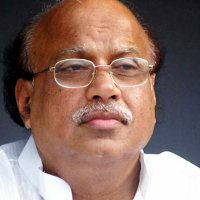 He obtained a Post Graduate Diploma in Applied Food Science and Technology from Hawkesbury Agricultural College in Richmond, New South Wales, Australia as an ASEAN Protein Project Scholar and a Master of Science Degree in Food Technology from Mysore University, Mysore, India as a Colombo Plan Scholar. His quest for higher learning never waned. In 1996, as a culmination of his diligence, perseverance and self-sacrifice in achieving his goals and upgrading his competence and capability, he was awarded his Ph.D. in Food Science from the University of New South Wales in Australia as an AUSAID Fellow. He has been working with the Food and Nutrition Research Institute (FNRI), Department of Science and Technology for more than 30 years where he started as a Science Research Associate and rose from the ranks. AS A RESEARCHER IN THE FIELD OF FOOD AND NUTRITION, his interest is on Food Fortification, Functional Foods, Technology Transfer and Food Quality and Safety, Food Product Development. He is also the Project Director of the FNRI’s 8th National Nutrition Survey (NNS). The NNS is the biggest and comprehensive survey on food and nutrition the Philippines. He has contributed significantly in the crafting of the Food Fortification Law in the Philippines. He has several patent and utility models credited to his name as an inventor. He has publishes scientific and technical papers in international and local journals. Likewise, he presented scientific papers in international and national scientific gatherings. AS AN EDUCATOR: As if his scientific preoccupation is not enough, he still finds time as an academician teaching food engineering and food technology subjects in several Metro schools at one time or another. 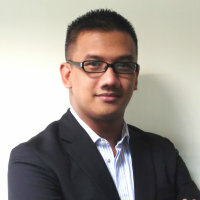 He also serves as thesis adviser and member of Advisory Committee. He was a faculty of the Asian-European International Master’s Programs in Food Science and Technology under the SEAMEO/SEARCA, ENSIA-SIARC (Paris) Program. He chaired the crafting and formulation CHED Memo Order No. 45. Series of 2006: Standard for Bachelor of Science in Food Technology Program in the Philippines AS RECIPIENT OF AWARDS. He has won for himself several awards in recognition of his outstanding research works: international, local and institutional. He is a Felllow of the Philippine Association of Nutrition. He received the KALA award from the Local Government Unit of Calauag Quezon for his community service and professional accomplishments. COMMUNITY INVOLVEMENT: Dr. Capanzana is the former President of the Philippine Association of Nutrition, President elect and Founding Member of the University of New South Wales Alumni Association – Philippine Chapter. He is also the former President of the PICHE - DOST Chapter, President/Convenor of the Food Science and Technology Council; a member of the Philippine Association of Food Technology (PAFT). He is married with two children. 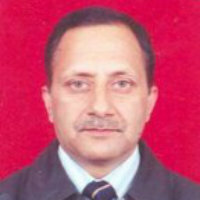 Kuldip Nar is the Managing Director of Aidmatrix India. He has been providing creative and innovative solutions through technology, partnerships and communications for the area of humanitarian relief with diverse stakeholders and public policy interventions with an innovative and entrepreneurial approach towards his responsibilities. He joined the Aidmatrix Foundation team in 2007 as Managing Director of India operations and has been leading projects covering health, nutrition, disaster, emergency planning, community engagement and other humanitarian initiatives. Kuldip leads a multi skilled team in the delivery of emergency and other humanitarian projects with diverse partners and has also successfully taken forward many start-up initiatives. Mrs. Modla-Szalai currently serves as President of the Board of Directors of NEEDeed Foundation. She has extensive background in public policy with special focus on innovation. Mrs. Modla-Szalai worked for governmental organizations in bilateral and national context and has been involved in the work of non-profit organizations in Europe and in Asia. She started her career in the Ministry of Education in Hungary at the Foresight Program, a strategic planning initiative. She received a NATO grant in Science Policy and Management which she completed at the UK Department of Trade and Industry in London with a comparative study of national foresight projects. She filled the senior diplomatic position of Science and Technology Attache at the Hungarian Embassy in London and of Programme Director of a non-profit leadership program. Having moved to Asia, she pursued her interest in the non-profit sector starting with a position at the W. J. Clinton Foundation in Hong Kong. This position was the beginning of a journey which gradually lead to the foundation of NEEDeed. Ildiko has an MSc in Organizational and Social Psychology from the London School of Economics (LSE), an MA in Political Science from Central European University (CEU), Hungary and holds an MA in History and English Literature from Pazmany Peter Catholic University, Hungary. A Filipino humanitarian worker for eight years, the majority of which were spent in his home country, the Philippines. Had the first taste of water, earth, wind, and fire in humanitarian emergency affairs on November 2006 Typhoon Durian (Reming). Got hooked in relief, development, and advocacy mission since then, and now serving children and the vulnerable through World Vision Thailand. DR M. Susilowati Herman built her career with The National Institute for Health Research and Development - Ministry of Health (NIHRD-MOH) Indonesia . She was in charge to WHO-CC for "Prevention and Control of Micronutrient Malnutrition". Also, she was a member of The Experts of Working Group on Food Security, Ministry of Agriculture from periods 2005 through 2010. At the present time she's actively involve in various scientific activities for Indonesia Health Researcher Association. 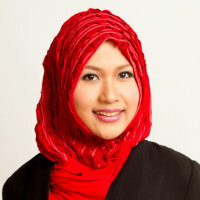 Sri Kusuma Hartani is the Health & Nutrition Program Manager at Mercy Corps Indonesia. She is responsible for oversight and management of all Mercy Corps Indonesia health and nutrition programs. She ensures effective implementation, prudent financial expenditures, and Monitoring & Evaluation are on track. Kusuma Hartani directly hires and supervises the individual project coordinators and provides mentoring and leadership to the entire health team. She contributes in developing new projects on Health, Nutrition, Promotion of Hygiene and Sanitary behaviors. 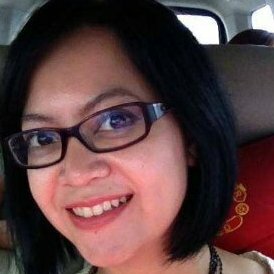 Aretha Aprilia has been working for the United Nations Environment Programme (UNEP) Bangkok as the Coordinator of the Asia Pacific Forum for Environment and Development (APFED) Showcase Facility. Upon her resignation from UNEP, the Regional Director awarded the Certificate of Appreciation for "Outstanding Performance as Coordinator of APFED Showcase Facility Secretariat". She previously worked with the UNEP Division of Technology, Industry and Economics (DTIE) in Bangkok and Paris on Sustainable Consumption in Asia project. In 2011, she was selected as a Climate Change Professional Fellow funded by the US Department of State for a 5-weeks program in New York and Washington DC. In 2013 she was nominated as the 'Most Powerful Woman' by Her World magazine Indonesia and received the 'Young Professional Caring Award' by Martha Tilaar group. She is currently conducting consulting work in the environmental sector while undertaking her PhD research on waste management at the Department of Energy Science Kyoto University, Japan. She received a generous full scholarship from Schlumberger Foundation for her PhD. 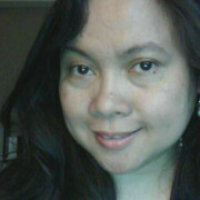 She has also worked as Expert for the preparation of the Climate Change Adaptation synthesis report for JICA, Consultant to Mitsubishi Research Institute Tokyo, Institute of Global Environmental Strategies Tokyo, reviewer of the international journals of ‘Resources, Conservation and Recycling ‘ (Elsevier), 'Waste Management & Research' (Sage), 'Journal of Geology & Geosciences', and language reviewer of the International Journal of Nuclear Safety & Simulation. Deepti Gulati joined GAIN as Senior Programme Associate, South Asia, in October 2009. She has a Masters degree in Food and Nutrition from M S University, Baroda, India. 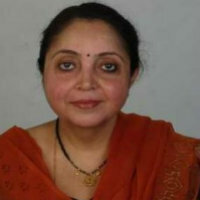 Prior to joining GAIN, she was Senior Nutritionist, UN World Food Programme , Deputy Director, National Institute of Public Cooperation and Child Development, Government of India and a University Lecturer . Deepti has received Fellowships from the International Agriculture Centre, Netherlands and from the United Nations University in 'Management of Community Nutrition Programs' and is a Master Trainer for the Integrated Management of Neonatal Childhood Illnesses (WHO) and the designated National Resource Person on Nutrition and Health Education. Her areas of specialization include: strengthening policy framework; and development and management of programs in the areas of food fortification, salt iodization and nutrition and health education. Besides work, Deepti’s interests include reading and volunteering for projects for the street children. Prateek Gupta serves as the country director for Helen Keller International’s office in Indonesia and has been in this role since 2014. Prateek has worked extensively in the monitoring and evaluation of nutrition, health, and education programs. He has focused on community-based approaches to service delivery. Prateek has been based in Southeast Asia since 2007. Mike is Project Manager for ASSIST Asia and editor of AsianNGO, the region’s pioneering media platform capacitating NGOs and social enterprises with news on grants and funding opportunities, policy updates, events, and learning resources. 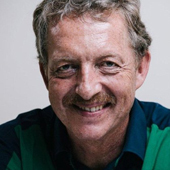 He has had experience in advertising, PR, publishing, programme management and political affairs from Europe through the Middle East; and in Asia and the Western Pacific. He did consultancy works on public affairs and PR with corporate multi-nationals, foreign governments, Philippine government agencies and most recently, the Senate of the Philippines. Mike earned his BA in Communications from Silliman University in the Philippines in 2003; and his MA in European Studies from the University of Vienna (Austria), graduating in 2008, followed by an internship at the International Criminal Court in The Hague. Amit Wadhwa is an expert in statistical analysis and information systems development with emphasis on tools and methods for assessing food security and nutrition. He has recently moved to Jakarta to lead the World Food Programme’s Food Security and Nutrition Analysis Unit in Indonesia. He previously worked with WFP at its headquarters in Rome, overseeing food security and nutrition assessments in 16 countries in Sub-Saharan Africa. He is a passionate believer in the appropriate use of technology and data analysis to quantify and address food security and nutrition issues. Prior to joining WFP, Amit worked in the private sector including several years at Deloitte Consulting. He holds a Masters in Public Health from Tulane University in New Orleans, USA. 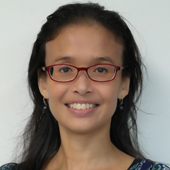 Dr. Elvina Karyadi is a medical doctor and has approximately 20 years of experience in research, teaching, community nutrition and in developing policies, strategies and guidelines for micronutrient programming. 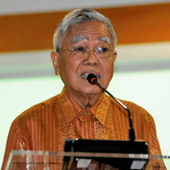 Dr. Karyadi has worked with the Micronutrient Initiative (MI) since 2006 as the Country Director of MI Indonesia. In this role, she oversees program development and project and activity management. She is responsible for the organization’s dissemination of micronutrient interventions and their evaluations. She manages MI’s collaborations in country and promotes micronutrient programming with the Government of Indonesia. Dr. Karyadi trained as a medical doctor at the Faculty of Medicine, University of Indonesia in Jakarta. She has a Master's of Science degree from the University of Indonesia and a Clinical Nutrition Specialist (SpGK) degree from the Collegium of Clinical Nutrition and Faculty of Medicine, University of Indonesia. She received a Doctor of Philosophy (PhD) in Medical Sciences from the University Medical Center, Nijmegen Faculty of Medicine, Department of Internal Medicine, in Nijmegen, Netherlands. Dr. Karyadi began her career as a Trainee at the Cipto Mangunkusumo Hospital in Jakarta before starting her own private practice as a General Practitioner. She was a lecturer at the Southeast Asian Ministers of Education –Tropical Medicine and Public Health Network (SEAMEO-TROPMED) Regional Center for Community Nutrition, University of Indonesia in Jakarta. She was later a Guest Lecturer at the Nutrition Academy, Department of Health in Jakarta. 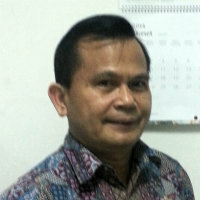 Dr. Karyadi was appointed Head of the Micronutrient Research Unit at the SEAMEO-TROPMED Regional Center for Community Nutrition, University of Indonesia in 2001. She became the Centre’s Deputy Director of Research from 2004 until 2006, before joining MI. She is also a member of the several professional societies such as the Indonesian Medical Association, the Indonesian Medical Nutrition Society, and the Indonesian Clinical Nutrition Physician Association. 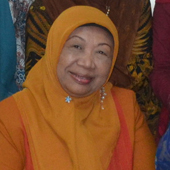 Similarly, she is a member of the Indonesian Working Group on Maternal Infant and Young Child Nutrition and a member of many other technical committees. 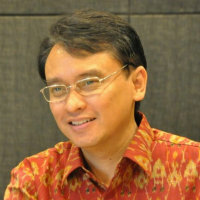 Hardinsyah born in Pekanbaru - Riau, Indonesia 7 August 1959. BSc in Nutrition and Food from Bogor Agricultural University, Indonesia (1982); and Magister of Science (MS) in Community Nutrition from Bogor Agricultural University, Indonesia (1987); and PhD in Human Nutrition from the University of Queensland, Australia (1996). Visiting Scholar at Cornell University, New York, and University of Hawaii, USA. He was the Head of Department of Community Nutrition and Family Resources, Executive Director for Food and Nutrition Policy Studies Center, Director of Collaboration, and Dean of Faculty of Human Ecology - Bogor Agricultural University (FEMA IPB). An advisor to Food Security Agency of the Ministry of Agriculture of Indonesia. He received awards on the best achievment lecturer of Bogor Agricultural University 1997, and the Best Participant on International Training on Community Development 2005, in Taiwan. He is now a Professor at the Department of Community Nutrition, Faculty of Human Ecology Bogor Agricultural University (FEMA IPB). He is a Co-Coordinator of South East Asia Public Health Nutrition (SEA-PHN) Network, the President of the Food and Nutrition Society of Indonesia (PERGIZI PANGAN Indonesia), Chairman of the Expert Working Group of Maternal Infant and Young Child Nutrition (EWG-MIYCN) of Indonesia. Member of the Expert Reviewers on Food Safety Evaluation of the National Drug and Food Agency (BPOM). He is currently analyze data on national food consumption data of Indonesians. His studies and publications are on epidemiology of maternal and child nutrition, and food insecurity. Sharad Adikary serves as Team Leader for WHO’s country office in Indonesia, specialising in Non-communicable Diseases, Environmental Health and Food Safety. Sharad has worked extensively with WHO in both Indonesia and Nepal. His technical trainings include Epidemiology, Disaster Management, Healthy City, Water Quality Improvement and Personal Management. 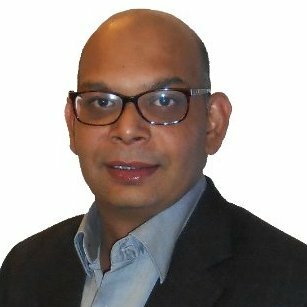 Sharad has an MPH from Manchester Metropolitan University, an MSc in Water & Waste Management from Loughborough University of Technology, a B.E. in Civil Engineering from South Gujurat University and a BSc in Statistics from Tribhuvan University. 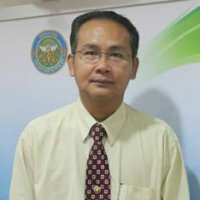 H. E. Mr. Srun Darith is currently working for the Ministry of Environment (MoE) as an advisor and chief of cabinet. He had been working for the Council for Agricultural and Rural Development (CARD) for 15 years before he moved to MoE in September 2013. In his capacity as Deputy Secretary General of CARD and the Head of the secretariat of the Technical Working Group on Food Security and Nutrition (TWG-FSN), he had mainly been in charge of the coordination of crosscutting issues of food security and nutrition (FSN) and therefore the Council’s focal person for FSN issues. He has extensive experiences in the area of FSN, especially in coordination, capacity building, policy/strategy formulation and M&E. Originally from Kampong Cham province, Cambodia, Darith earned a Master’s degree in Public Administration, a Bachelor’s degree in English Education (Teaching English as Foreign Langue-TEFL) and Bachelor’s degree in Electrical Engineering. He was also undergoing oversea training courses on various subjects including FSN (concept, situation analysis, and intervention), project management, M&E, and regional management. Every day Royal FrieslandCampina provides around 1 billion consumers all over the world with healthy food that is rich in valuable nutrients. With annual revenues of 10.3 billion euro FrieslandCampina is one of the world’s five largest dairy companies. FrieslandCampina supplies consumer products such as dairy-based beverages, infant & toddler nutrition, cheese and desserts in many European countries and in Asia and Africa. 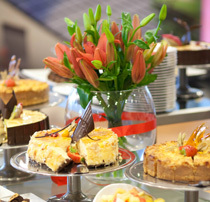 Products such as cream and butter are also supplied to professional customers including bakeries and food-service companies. FrieslandCampina also produces ingredients and half-finished products for manufacturers of infant & toddler nutrition, the food industry and the pharmaceutical sector around the world. The company employs some 20,000 people, exports to over 100 countries and operates over 100 production facilities and sales offices in 28 countries. Sanku provides micronutrient fortification solutions for small and medium scale mills. Sanku has developed a cost effective, accurate and scalable solution currently being implemented in east Africa. By working with local partners, Sanku’s goal is to fortify flour for 200 million people by 2020. US-FDA & WHO GMP approved & carry all the necessary quality accreditations required by the regulated markets. Our products are well accepted and we have a global distribution network. The excellence of PHL is in providing the highest standards of quality products and has never been compromised over the years. situation by taking the whole eco-system in consideration. Nutriset is deeply supporting this approach and believes in public private partnerships to end this burden. Nutrition, and Clinical Nutrition products for hospitalised patients. Hexagon Nutrition has been in the business for more than 20 years and exports its products globally. The company has state of the art manufacturing base in India with international approvals. Hexagon Nutrition invests heavily in strengthening its R&D, analytical and testing capabilities. 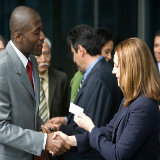 The client base includes major multinationals, UN organisations, renowned NGOs, regional and national Governments. Nutritionals continually invests in the technologies, research, and personnel that put it at the forefront of the nutritional industry—leaving no rock unturned and always finding a better way. dietary supplements, personal care, feed, pharmaceuticals, medical devices, automotive, paints, electrical and electronics, life protection, alternative energy and bio-based materials. DSM’s 23,500 employees deliver annual net sales of around €9 billion. The company is listed on NYSE Euronext. developing countries. It is based in Cali, Colombia. 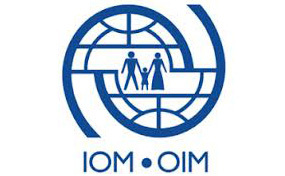 migration programming which is carried out by more than 7,800 staff members working on over 2,300 projects in over 480 field locations worldwide. has established programs in the areas of large scale food fortification, multinutrient supplements, nutritious foods for mothers and children, agriculture and nutrition and nutrition for school children and adolescent girls. We have developed the agenda and speaker panel in consultation with key organisations, such as UNESCAP, UNEP, Asian NGO, ADB, Thai Red Cross, CIPS, UNOCHA, World Bank, IOM, FAO, World Vision, Aidmatrix. Please download the updated (October 2014) agenda here. Defining and measuring malnutrition, including hidden hunger and over nutrition How to measure food security specific to the country settings? A critical component of food security is diet quality. Even people with access to sufficient amounts of food and calories may still lack essential micronutrients, increasing their risk for health consequences. o	Iron deficiency is the most pervasive nutritional problem in the world, 4- 5 billion people suffer from iron deficiency and an estimated 2 billion are anaemic. o	Zinc is crucial for the immune system, zinc deficiency has been estimated to affect up to one-third of the world's population. 1 Panel Current challenges of fort fortification and how to overcome them? 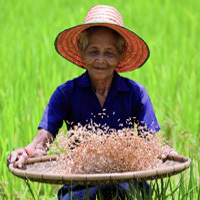 The Aid & International Development Forum (AIDF) has developed the agenda in consultation with key organisations, such as GAIN, FAO, Micronutrient Initiatives, Asian NGO, ADB, Thai Red Cross, CIPS, World Bank, IOM, World Vision, Aidmatrix. Please download the updated agenda here. •	Discuss with farmers and millers what kind of food should be produced: what does the market need and what quality? •	How do regional initiatives find it working with larger organisations and how could this relationship be inproved? 1. Collaboration of nutrition programmes: How to collaborate more effectively on many levels? Sharing learning and experiences with projects in certain regions. 2. 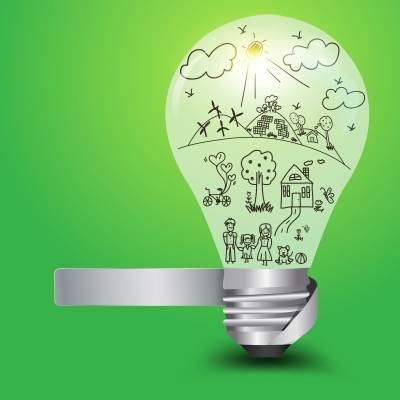 Creating an effective cost-benefit analysis: how to choose the right programme? Short presentations by the roundtable moderators on the questions and outcomes of each round table session. Nutrition has been placed high on the global agenda, now it is crucial that we ensure it remains there and is firmly entrenched in the post-2015 development framework. Throughout the two day summit, there will be numerous opportunities for those in attendance to engage and discuss hot topics beyond the limits of the main conference room. We invite you to participate in our series of mentally stimulating round table discussion which wills cover, the following topics: programmes to fight malnutrition and end hunger and stunting, micronutrient deficiencies, food fortification, 1000 days campaign strengthen public-private partnerships. This summit provides plenty of networking opportunities gathering 300+ delegates including Government Ministers, agriculture regulators, farming associations, investors, UN agencies, and NGOs along with 30+ event partners and attending press & media. Discover business opportunities and with the goal of food security in the Asia-Pacific region and we provide a platform for the establishment of multi-level partnerships and the facilitation of public-private understanding. To conclude what promises to be an extensive two day summit dissecting content driven dialogue about food security. We invite you to our Networking drinks reception, to continue the discussions started throughout the day and network with prominent figures and decision makers from the global food security industry in a warm and welcoming atmosphere. The calm and professional atmosphere will bring people together from agriculture and nutrition sector sharing knowledge understanding and pursuing a vital cause is sure to get key industry dialogue flowing. Ambhara Hotel Jakarta is strategically located in the heart of the exclusive enclave of South Jakarta at Kebayoran Baru. The Hotel is conveniently located near Blok M Terminal. The terminal has six lanes - five regular bus lines and one lane busway TransJakarta. From the airport, you can reach Blok M Terminal by DAMRI Bus. You can reach the Hotel by taxi. Blue Bird Taxi is a possible company you can use. From the airport it will take approximatively 45 minutes. Please note that it is the delegate's responsibility to investigate the visa requirements for Thailand and apply for visa, if necessary. Register delegates can obtain an invitation letter for visa from AIDF, please contact Pierluigi on pgaribaldi@aidforum.org. Book by calling +6221 2700 800 and quote 'AIDF Food Security Summit 2014'. Reservations must be made no later than 1st of October 2014. The Aid International & Development Forum (AIDF) recently hosted Asia-Pacific’s first major water security summit at the Putrajaya International Convention Centre on the 23rd and 24th of April. 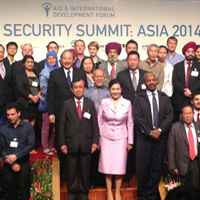 The AIDF Water Security Summit aimed to discuss the important issues of water management. The summit attracted close to 250 attendees from over 20 countries. It was officiated by Datuk Loo Took Gee, Secretary-General of the Ministry of Energy, Green Technology & Water of Malaysia who also gave a keynote address that articulated Malaysia’s vision on water security for the region as a whole. Inspiring keynote speakers, challenging panel discussions teamed with interactive presentations are just a few of this year’s summit highlights. Keynote speakers included H.E. G Palanivel, Minister of Natural Resources and Environment of Malaysia; Phiraphan Phalusuk, Minister of Science and Technology of Thailand; H.E. Paveena Hongsakul, Minister of Social Development and Human Security of Thailand. A line-up of high profile speakers were passionately discussing public-private collaborations and transferring knowledge to develop and scale-up projects, technologies and business/policy models. AIDF along with the support of their strategic partners, including Life Saver, SunEdison, Echologics, Pak Oasis, FutureTech, Trunz, KPMG, H2O Saver, reflected their common interest through the expressive open exhibition floor, showcasing special focus areas of water security and water sanitation. Throughout the first day and indeed the second day, the exhibition and networking area allowed plenty of opportunities for delegates to analyse and discuss the future of water sustainability and of course gave the exhibitors the chance to share insights with fellow delegates from other organisations. Assisted introductions also presented delegates with the chance to present the impact of their work and studies to delegates of their choosing. This interactive networking community spirit, once again demonstrated the value of such an event.